Every survivalist needs to know how to start a fire in the woods. If you’re a little rusty or just never got around to mastering this particular skill, this is the guide for you. We’ll cover what you’ll need to get a fire going, how to construct a fire, and the mysterious Rule of Three. The first thing you need to do when you’re learning how to start a fire in the woods is gathering your ingredients. 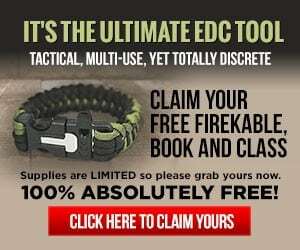 Just like a recipe, it pays to be prepared when you’re starting a fire in the woods, so get everything you’re going to need. Tinder: No, not the app. You’ll need tinder for the initial flames to get things going. 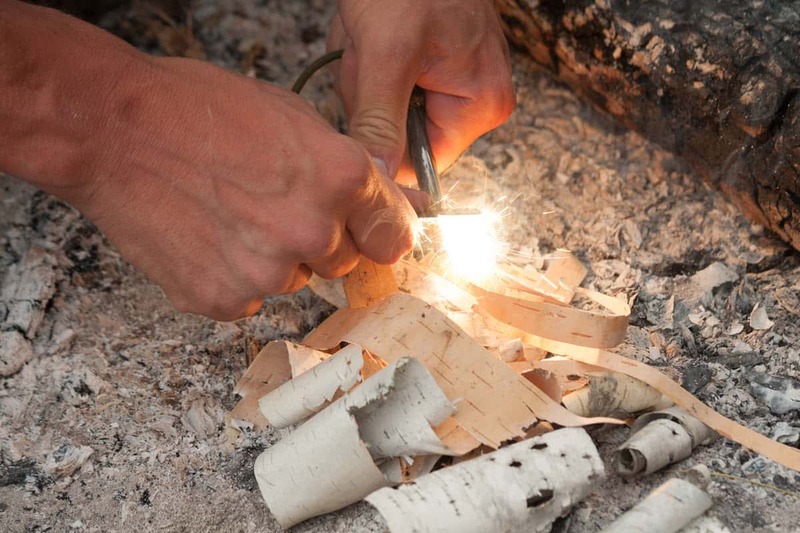 Typically, fire-starting tinder is small, dry, extremely flammable materials like pine needles, dry grass, or bark. Really, anything small, dead, and dry that will catch quickly. However, you can also use vaseline or petroleum jelly soaked cotton ball fire starters like the one I demonstrate in this video. Regardless of the type of tinder you choose, it will provide the initial fuel that will create enough heat to light the bigger pieces on fire. Kindling: The next tier up from tinder. If you’ve spent anytime car camping, you’ll have seen this for sale in orange bags as a tidy bundle of smallish sticks. But when you’re out in the woods, your kindling will simply be larger pieces of your tinder. Bigger bits of bark, larger twigs, and small pieces of wood will all work. 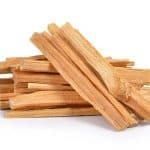 Like your tinder, kindling works best when it’s small and dry. Equally important to putting the right stuff in when you’re wondering how to start a fire in the woods is to get your construction right. 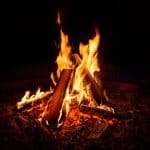 You want to build it so that there’s plenty of airflow (since oxygen is essential to a fire) in and around your logs, but in such a way that your tinder rests on your kindling and your kindling on your logs. The general idea is to build your structure before you start lighting it so that you don’t use your precious kindling and tinder up too quickly. As a general rule, for the most success rely on the Rules of Three. Basically, if you want to burn a three-inch stick, you need three one in sticks burning first. That ratio holds true for everything in your fire. 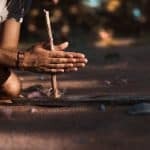 The rule of three has a second part as well which can help your when you’re first learning how to start a fire in the woods – namely, the first getting going… and then promptly going out. The second part of the Rule of Three is that to have a sustainable fire, you must ALWAYS have three sticks burning at a time. With this rule and its two parts in mind, you can’t go wrong when you’re learning how to start a fire in the woods. 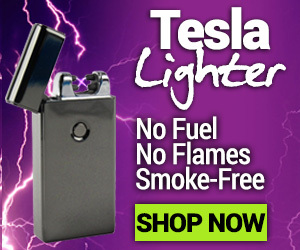 Finally, you need a fire source. Waterproof Matches can run out and something like a magnifying glass requires the sun (a problem if it’s cloudy – when you need a fire most). That’s why one of the best options is a Ferro Rod – it lasts virtually forever, it’s self-contained, and it’s very low-tech so it’ll never, ever break. 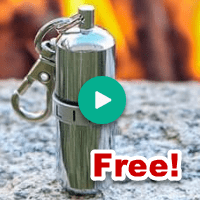 Another great fire-starting tool to have on hand is the Life Strike Lighter, it’s waterproof and it’s free! 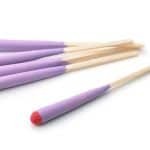 You should also check out our How To Start A Fire Without Matches blog post for 8 proven and reliable ways for starting a fire without matches. There you have it – the three principals to starting a fire in the woods. Now the next step is to get out there and do it! Just make sure you’re kitted up before you head out there.